Oh, that was added? For some reason I was assuming it would be a thing that was permanent, not something you can turn on and off. Thanks for letting me know! Yeah the fact that it started by default as off kinda confused me. Took me a bit to realize that it was off by default and needed to be turned on. I expected it to be the opposite. Pulled for Greil and Ike today. GOT TWO MISTS ON THE SAME CIRCLE (one +HP -ATK, the other +RES -SPD). I guess you could say I MIST my goal. It was a tad confusing for me at first too though, but for a different reason. I'm used to how Pokémon displays assets and flaws and there it's the reverse: red is the asset and blue is the flaw. Heroes does it the other way around with blue for the asset and red as the flaw. I decided to try a few circles since I wouldn't mind getting any of them but wasn't fussed, either. However, my orbs are currently being saved for the voting banner in the hopes of Hrid and Duma. That being said, finally pulled my very first Libra! He's neutral so I've decided to go ahead and promote. Rngesus knows when I'll get another! I've already scrounged some orbs for DD!Ike. But first, a free pull. Alright, time for a shot at Ike. 3.25%, hopefully this won't be dragged out. What in Dozla's drunken beard is happening FEH!?! 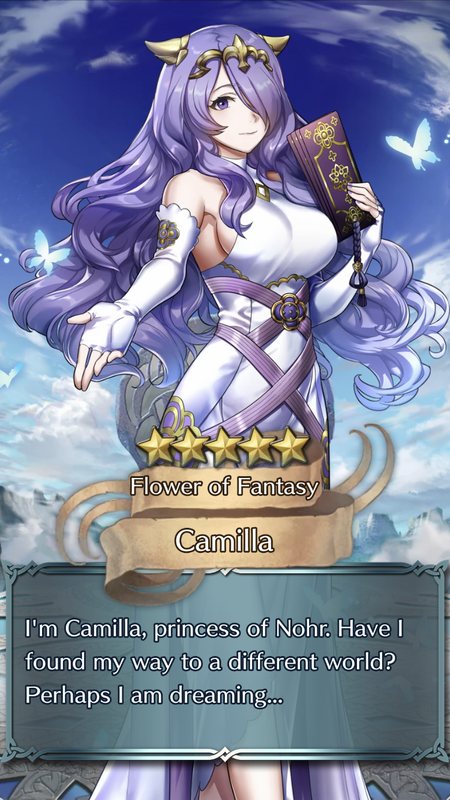 The free summon on two BHB banners, on adjacent days, and I get the featured Green which I desire both times. They even share the same suboptimal nature of +Res/-HP, not that I mind one bit. This beggar is more than happy! Myrrh is perfect since I can run her with Tibarn, Naesala and a Heron and they'll still turn-1 transform into 3 Move fliers. Is this positive conditioning for exercising? I'm hitting the gym more often now. And for Greil's Devoted, I just got a Barst, not like I was looking for a Seasonal, I'm just looking for a standard Titania. I would've liked to pull for Soren and Mist on the new banner, but I'm not starting on a new banner, when there's still one running I've got unfinished business with. Good luck to you as well, once you come back. Today's luck has been simply bad. I liked all 3 units in the daily banner and I ended up spending orbs on it. Most of the orbs I had at the time went to it. I didn't get anything. Also in the new banner I made 3 pulls and all were 3*s and bad fodder. I also have only 4 story chapters remaining to draw free orbs from. And I need to start saving for the Binding blade and 2nd anniversary banner. I am not worried about the valentine's banner since it runs for a month and any of the four would be fine. What I am worried is that that I won't be able to get a 5* from the daily one. threw the orbs from the paralogues at the banner just to see if Soren would stop being a wallflower and join his comrades. At +Res/-HP, he did. Not the best IVs, but it could've been worse. I got Mist, who I will happily give her rally skill and tome to Boey. And at last, I found my last Boey who I will use as the base for his +10. Ooooh. Got HS!Sakura just now. After exhausting my orbs on the New Years Banner + Legendary Banner, I was taking a break until realizing I would love a Flying Healer, and I had saved up like 40-ish orbs, so I was like, "Maybe I should go into the Hostile Springs banner". And with 4 orbs to spare, I got HS!Sakura. -Spd/+Res. Which is fine. Not gonna go for merges to eliminate the flaw right now. But if she pops back up on a Mythic/Legendary Hero Banner I'll probably spend some orbs to get a merge or three. So because I got Ike early, I decided maybe I should try for Myrrh on my second account since I didn't get any greens at all in my first summoning session. I managed to control myself for Hector but I think I can risk trying for Myrrh a little bit. I just want to try my first green then I'll go. 2nd session had no greens again, so I got an Est.3rd session, 1 green. Finally. 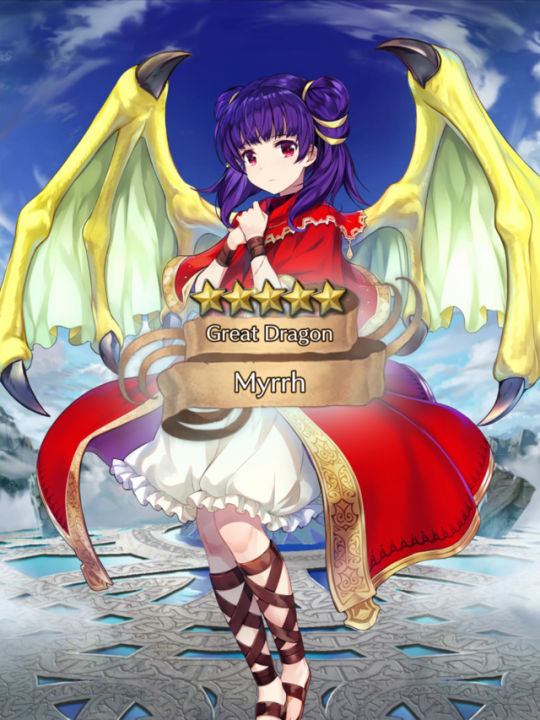 It feels bad to break my free summon only rule for these daily banners, but it's been a while since Myrrh was on a banner so..
May not be a free summon 5 star but that was a 10 orbs risk well spent. At first I was scared and felt down because I saw the numbers and thought she was +HP/-Atk. Then I realised I was too used to Pokemon where it was the opposite, and found out she's +Atk/-HP!!! Glad to finally complete the flying dragon trio right now! I still have one spare DC fodder so she'll get to have it soon. @Landmaster Aww that's a shame but at least she has nice art and flying mages are always useful! 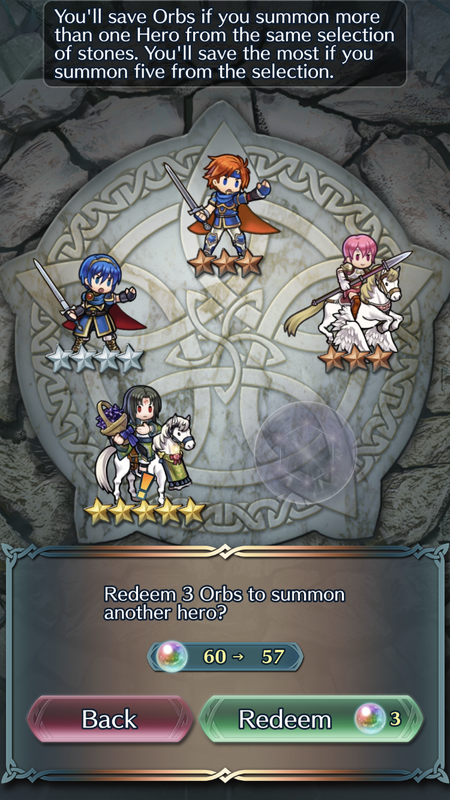 So, got lucky enough to have Red on the Free 2018 Seasonal, and pulled Summer Micaiah! And she’s +ATK/-RES, which seems quite acceptable. And then I pulled Ike off the daily BHB Banner rerun. +DEF/-SPD doesn’t seem too bad, honestly I’m just happy to have finally pulled him. Special Units (Year 2): Another S!Y!Tiki. Meh, I was hoping for either Tharja, Tana or Micaiah, so I wouldn't have to jump into three reruns in a row this year. But oh well, my original one was neutral, while this one is +Atk, so it's an upgrade nontheless. Daily Banner: Another -Atk Ares. Maybe one day I'll find the time and feathers to upgrade two of them at once, but today is not that day. TT banner: Ryouma. Looks like my free pull luck is back, but only for units I already have and don't necessarily need more of. Which is better, +Spd or +Atk? Up late to pull the free summons. Main: Tana is now +9. Elincia fixes -HP. Alt: Welcomes home Micaiah +Atk. All my free summons were red sword fliers. Special Hero Summon was Hrid (+SPD/-DEF). Terrible IVs but I could fodder him off. Hopefully, I can get HS!Micaiah on the next legendary banner. After over a year and spending 200+ orbs on her debut banner (getting pity broken 3 times and no focus units), Elincia has finally come home. Best of all, she's +ATK/-HP. TT free summon was *3 Caeda (+HP/-RES). I wanted him and missed him twice and I somehow managed to pull him! ... He's +spd -HP, though. He and Halloween Nowi should've switched natures, she's +atk -spd.